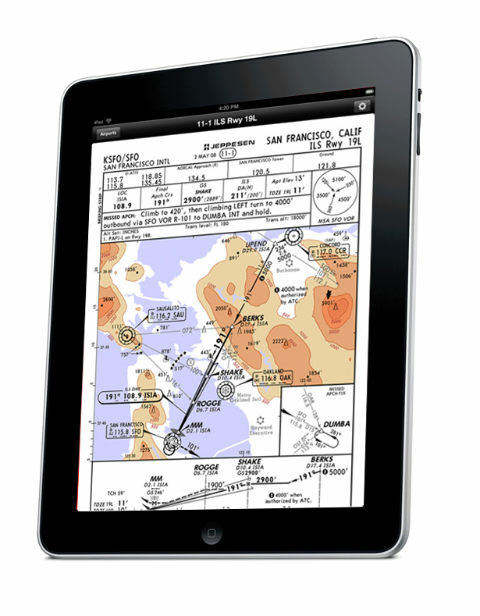 The AirSafe.com News: Will your pilot use an iPad in the cockpit? For most consumers, the personal electronics revolution of the past 20 years has meant massive changes in the kinds of affordable technology that we use at home, at work, or back in the passenger cabin. In the front of the aircraft, change doesn't happen very quickly. Innovations like GPS or even digital displays often take a slow and winding path over several years before the FAA would approve them for use in the cockpit. It seems that this process has been sped up considerably in the case of the iPad. Less than a year after the iPad was initially offered to the general public, the FAA has allowed air charter company Executive Jet Management, which is a subsidiary of Warren Buffet's NetJets company, to use Apple’s iPad, combined with a specific software application, as an approved alternative to paper charts. Not only has this electronic device been approved for aviation use, it has been approved without any major design changes. Other likely early adopters would include companies providing Private Jet Charter services. According to February 2011 Wired magazine article, the FAA approval process included demonstrating that an iPad could endure a rapid decompression from a simulated altitude of 51,000 feet and still provide critical navigation information. Prior to approval, Executive Jet Management also developed procedures for dealing with system or software crashes and other situations that are described in detail in FAA Advisory Circular 120-76A, which deals with requirements for electronic flight bags. At present, this means that only those few passengers who fly in sleek corporate jets may see their pilot carrying an even sleeker iPad rather than a bulky case full of paper charts, but that may change soon. 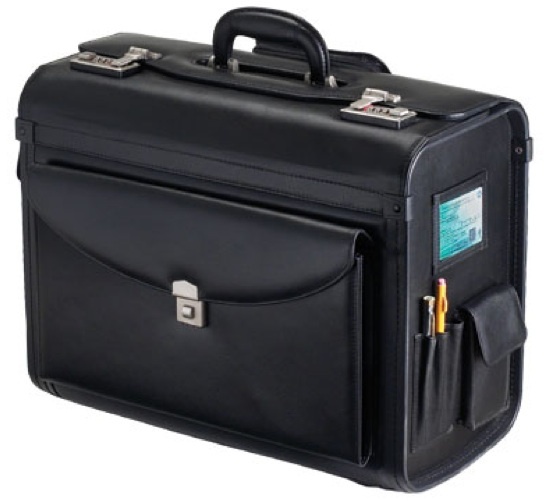 Rather than carting around suitcase-sized flight bag stuffed with dozens of charts and other reference materials, your pilot will be able to add to as many materials as he or she may need for the safe conduct of your flight. After all, no matter how many electronic documents are in an iPad, the weight doesn't change. This is another innovation that may mean improved safety at all levels of aviation. 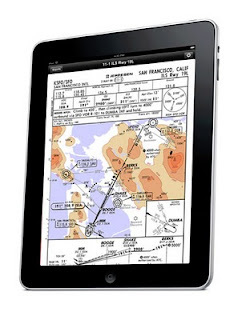 While the iPad has been popular with pilots since its introduction last year, until now it had not been approved for use by the FAA either as a replacement for traditional paper charts or as a replacement for currently approved, but much more expensive, electronic flight bags. While the iPad can be purchased for several hundred dollars, most electronic flight bags cost at least several thousand dollars. Coming soon to a major airline near you? This first FAA approval for using the iPad in the cockpit gives airlines the opportunity to do the same. Currently, Alaska Airlines has about 100 pilots evaluating the iPad, and a spokesperson for Jeppesen; the Boeing-owned subsidiary that provides aeronautical charting and navigation services, including the TC Mobile software application in the recently approved iPad system; claims that several air carriers are interested in using the system as well. This is one of those rare situations where the average passenger, at least those who own iPads, can easily use and evaluate the same FAA approved equipment that a pilot can use. The TC Mobile application is free, and can be found through your iTunes app or online at the iTunes store. While the app is free and has free demonstration charts, downloading and using real aeronautical charts will cost you. Full disclosure: Neither the author or AirSafe.com was compensated for this article by Boeing, Executive Jet Management, NetJets, Jeppesen, Apple, or by any other company or individual. The author also admits that he has the app on his iPad and thinks it looks really cool.